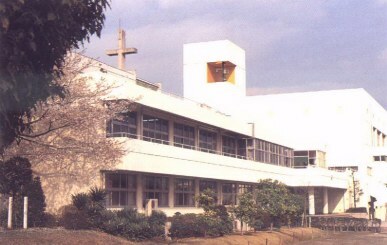 Seibo Gakuen is a private Lutheran junior and senior high school located in central Japan. Our school's name in English is, "Holy Hope Senior and Junior High School." 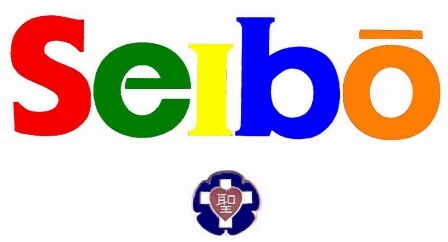 Seibo is in the city of Hanno, which is about 50 minutes NW of central Tokyo. The Seibo Times is Seibo Gakuen's English newspaper. It gives our students a chance to express themselves using English. We hope to use this site to share our experiences with others. We also want to share Japanese culture with people around the world, and to learn more about life in other countries. Thanks to Marjorey, in Canada, for letting us know about an event taking place at the Hope Lutheran Church in Nanaimo British Columbia. They will be putting up a Peace Pole on January 30, 2000. The dedication will begin at 12:30 PM. Visitors are welcome. Peace Poles have been erected all over the world as a symbol of peace. They are used to spread a message of hope and understanding. Peace begins in the heart of a person and it spreads out to others. As we learn to respect and care for all the living things around us, peace will become a natural way of life. Peace Poles stand as a symbol of international friendship and communication. Peace Poles were first erected in Japan. The program was started by the World Peace Prayer Society, a non-denominational group formed in 1955 by Masahisa Goi. This group hoped that the Peace Poles would help spread a message of harmony to people in all lands. More than 10,000 poles have been erected in 160 countries around the world. Why don't you erect a Peace Pole as a sign of your desire for peace and international friendship? We, the students of Seibo Gakuen, think that it's a great idea. Thank you, Marjorey. We'd love to hear your comments. We'd love to include your news or stories.